The Joy Formidable Come Raw, Loud, and Radiant on New LP AAARTH Reviewed by Andy Frisk on September 25, 2018 . Loud, raw, and radiant, AAARTH reminds its listeners why The Joy Formidable were, and still are, such a buzzworthy band. No, The Joy Formidable’s lead singer/guitarist isn’t auditioning for the role of 21st Century Bono, but she does have a point. Ritzy Bryan’s remarks, lifted from their new album’s advanced press bio, sets the stage thematically as far as their new album goes. 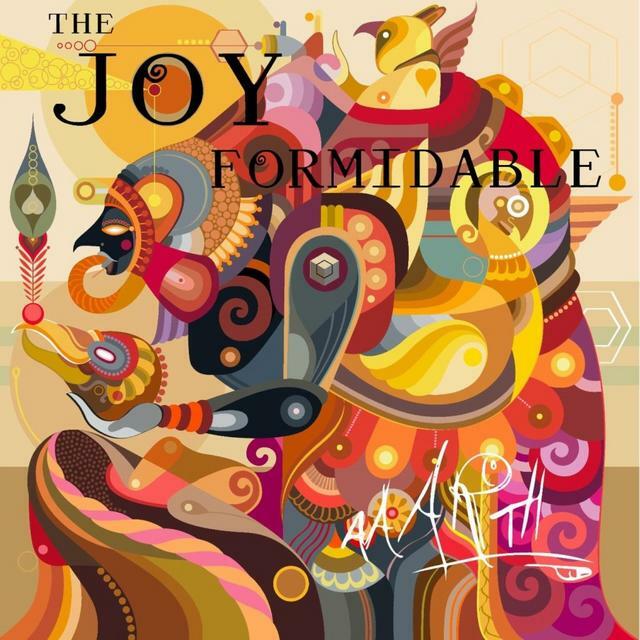 Blunt, both musically and lyrically, but not lacking in trademark atmospherics, AAARTH finally encapsulates everything that’s brilliant about The Joy Formidable in one complete listen. The Welsh trio, comprised of Ritzy Bryan, Rhydian Dafydd Davies, and Matthew James Thomas quickly rose to wide as well as critical acclaim with the release of their first album The Big Roar in 2011, and here on their fourth LP bring that acclaim full circle with an album full of raw, heavy guitar rock that finally dispels any doubt that Ritzy Bryan is not only a rock guitar hero, but one of the most inventive, at least to reach a wide audience, since Tom Morello. AAARTH is loaded with straightforward sounding, and seemingly simple, riffs that are a deceptive in their simplicity as any of Morello’s when he was with Rage Against The Machine. One only has to listen to the guitar lines in “Better Me” off the album to understand the comparison. They are also, albeit not quite as deceptively, the hardest riffs she’s ever written, and that the band has ever recorded. Album opener “Y Bluen Eira,” which in Welsh means “a white feather” or “snowflake” ironically (most assuredly by design) boasts the heaviest guitar line Bryan has yet to write. Tying in with her comments on writing off a whole group of people (in this case the metaphorical “snowflakes” so often derided by both sides of the political spectrum these days), the opposing titular metaphor and the hardness of the guitar create a unique oxymoronic theme song for the album. Snowflakes and feathers are soft, but Bryan’s “snowflake” song is anything but. Yeah, Bryan and company have gotten poetic and artistic on us, and the result has lead to some of their best work. Recorded in Utah AAARTH is described by the band as a collection of songs that first “came to life in hotel rooms around the world.” The influence of the harsh yet beautifully expansive and colorful landscapes the band found themselves surrounded by in Utah can be heard in the album’s expansive yet hard sound. 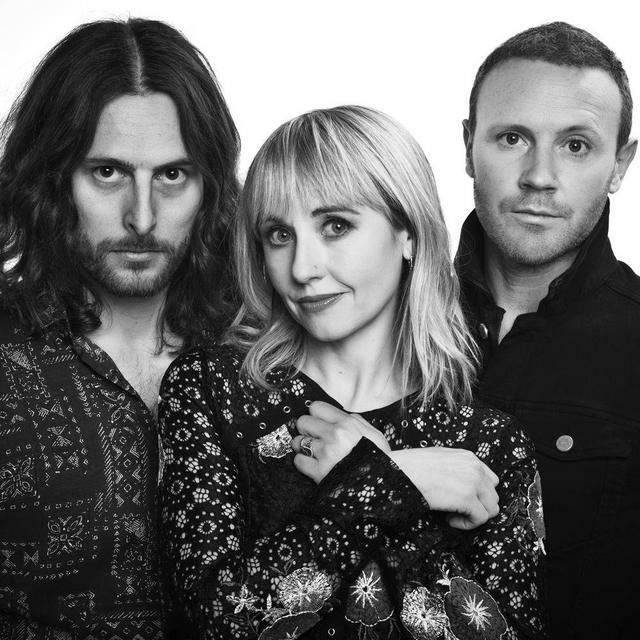 Previous The Joy Formidable albums relished their atmospherics, often times leading the band’s sound to border on a lazy shoegaze. Here, the atmospherics instead infuse the straightforward riffs and rhythms with more emotive elements as opposed to abstract ones. “All in All,” the billowing track at the heart of the album is a musical painting that clocks in at 5 minutes and 47 seconds, but sounds a mile and a half wide as it runs the gamut of sounds from hard guitar breaks, atmospheric guitar bridges, gently strummed acoustic guitar riffs, and breathy vocals from Bryan. The Joy Formidable aren’t afraid to take on the kind of elevation necessary to pull of a song like this. It’s a fearlessness, and kind of song, that few bands can pull off, let alone attempt, these days. Not a band to dwell in such lofty heights and overstay their welcome there though, Bryan leads the band in what can only be described as a stomping, riff heavy rocker the album’s very next track. “Loving Go” launches the album’s second half by delving into the deepest depths of pure rock heaviness by dipping their sound a sludgy mire that buzzes and burns menacingly. “Cicada (Land on Your Back)” shows us The Joy Formidable dabbling in Eastern rhythms and themes, seeking the kind of balance that many Eastern religions advocate through a balanced sound that juxtaposes eastern rhythms and Western hard rock riffs with natural sounds, namely the sounds of the titular Cicada insects. “Dance of The Lotus”, the album’s first single, puts the all of the album’s different rhythms and guitar effects together and most effectively serves as the gateway into the album’s mystical, political, hard rock, and natural sounds. The band chose it for the album’s first single for that very, well chosen, reason. Everywhere one listens on AARTH, The Joy Formidable manage to weave soundscapes that bludgeon the listener with beauty and melody as well as a sense of strength laced with fragility that denotes it as human, but capable of transcendence. The Joy Formidable’s music has always been voluminous, but here by scale back the atmospheric volume and tightening in on a more raw sound, as well as subject matter, the band manages to somehow get even more deep, resoundant, and radiant. AARTH is the kind of listen that comes along only once in a while, about as often as a generational voice and guitar whiz like Ritzy Bryan and The Joy Formidable do.